When Samsung launched their first Note Phablet, the world scoffed. The very term Phablet was cringe-worthy, seemingly a needless amalgamation of two distinct consumer technology sectors; smartphones and tablets. The merger was unnecessary and was deemed to fail. The main commentators of the time were quick to dismiss the very concept. 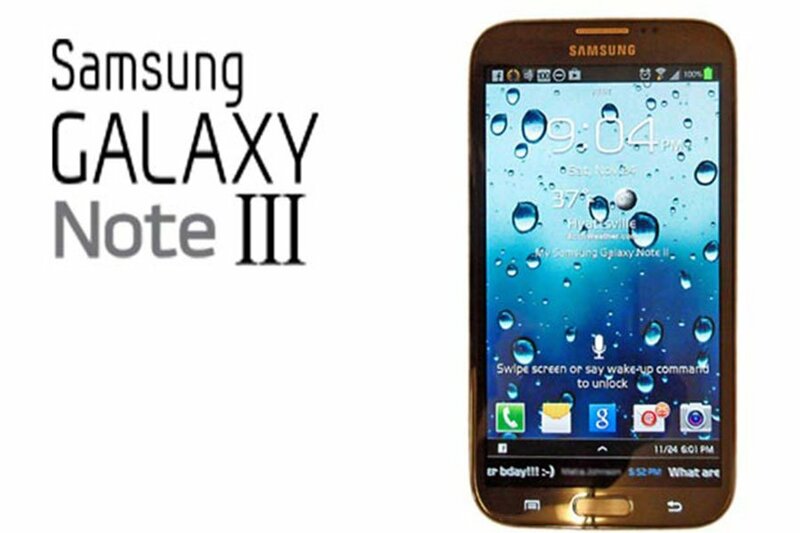 The Note shifted 38 million units and amazingly Samsung have just launched their third iteration. Here is the BurnTech.TV Samsung Note 3 review. The third generation of the Samsung Note remains the oversized powerhouse that has come to define Samsung’s phablets. Samsung have made some shrewd refinements, pushing the phones status as a device which beautifully combines practicality with power. This phablet certainly isn’t the largest on the market, devices like the Galaxy Mega come in at 6.3 inches, but such devices are patently less refined and also lack the sheer grunt that Samsung have delivered here. The Note 3 is an Android Jelly Bean powered device, meaning that it runs on the latest iteration of the popular Android platform. In many ways though, this is where the Samsung connection with Android stops dead. A major part of the attractivness of the Android OS for manufacturers lies in its development flexibility, which allows manufacturers like Samsung to really tweak it. Samsung are particularly fond of the ability to refine and change the OS, so this is the least Androidy Android phone that you’ll get your hands on. Its a fine art, and one that Samsung have long since mastered, so the refined user interface is bug free and runs smoothly, delivering great day to day usage. This sounds very basic, and indeed should be, but other manufacturers have tried and failed here, delivering interfaces that stall and lag, making the day-to-day user experience something of a frustration. Samsung have also bundled a host of apps with the Note 3, many of which, as the name might suggest, are focussed around note taking and general productivity. So on launch, the device offers easy access to Action memo (a post-it note style notebook, perfect for storing quick notes and reminders), Screen Write (screenshot, with the ability to annotate), Scrap Booker (clip items from the device and save them to a scrap book, a little like Pinterest but for productivity) and S-Finder (an app that lets you search the entire device easily). Finally there’s the S-Note app, which remains at the heart of the productivity suite within the Note 3, providing an integration of services like Google maps, clipboards, scrapbooks, videos, images and illustration into one ‘super notebook’ style application. The sheer thoroughness of this service serves as a reminder that Samsung have really nailed down the productivity side of smartphone usage, especially compared to their great rival Apple, who many still consider to be a media consuming rather than creating specialist. Samsung also include the noteworthy S-Health app, which is likely to be of particular interest to BurnTech readers. S-Health works a little like the companion apps that come with activity / fitness trackers, and i really like the way it synergises the environment with health markers. So not only do you get the pedometer and calorie counting features, but you also get environmental inputs like the temperature and humidity, all of which can be used to gauge your physical performance. At the risk of digressing, i cant help but wonder if this is destined for the Samsung Gear smartwatch, which could mark Samsung’s entry into the super competitive fitness tracker market. Getting back on track, the Note 3 is powered by the very in-vogue QualComm SnapDragon 800 processor. This is backed up by an impressive 3GB of RAM, and at 2.3GHz, it offers plenty of power. The screen features a very high quality 5.7 inch 1,920 x 1080p high definition display, and this is probably at its most impressive whilst taking notes. The screen is large enough to really let you get the full benefit from the HD, and even when you write in small font size with the stylus, the screen avoids the pixelation that has ben the bug-bear of stylus led note-takers for years. Extra bonus points are offered for the clever integration of touch sensitivity, meaning harder pressing of the stylus leads to bolder strokes. The device measures 5.95 x 0.33 inches, marking it out as a little thinner than the Note 2, whilst retaining the same height and width. At 5.92 ounces, the Note 3 has gone on a slight diet too, coming in slighter lighter than last years iteration. One things for sure, the sheer scale and size of a Samsung Note smartphone certainly cuts it out from the field. The problem in the past, especially with the Note 2 was the fact that its sheer scale and thus eye-catching nature only served to highlight the inadequacies in Samsung’s design finish. Samsung have always favoured the polycarbonate shell, and have typically liked to use tapered edges and cheap feeling external components. Its a shame really, as this does the internal finish of their devices a disservice, and its pleasing to see that they have worked to rectify this with the Note 3. Gone is the polycarbonate body, and in comes a new faux-leather backplate. The tapered edges have been replaced by a more modern flat edge design too, which also lifts the overall feel of the device. The faux leather backplate may be a little BlackBerry from the early noughties, but it actually works quite well on this device. Samsung have some way to go before they become masters of design in this space, but when the company focus on something they normally master it, and it will be interesting to observe this trend over the rest of their 2013 and beyond releases. The user interface is a nicely refined version of Android, and typing is especially well though through. The larger screen has allowed Samsung to lay out their typing interface in a more tablet-like manner, so the introduction of the top row of numbers makes the experience much faster and less frustrating than say an iPhone. In terms of external features, the device features a standard 2.5mm headphone jack, as well as a volume button, infrared sensor, mono-speaker, USB 3.0 connector and the devices stylus. The Note 3 features a nicely upgraded camera on last years model, taking it up to 13 MP and therefore placing it in line with the S4. Like all Samsung phones, this device features a more than capable camera, with some nice additional features that you wouldn’t typically expect from a smartphone. This comes on the back of Samsung’s heritage in the digital camera market, meaning you get features like an eraser, best face (merges group shots and manages facial expressions) and Rich Tone, which delivers great contrast and colour rations. The eraser tool is especially useful, allowing you to remove people from photos, making it the perfect anti-photobombing tool. The camera delivers impressive speed, with fast autofocus and rapid-fire photo shooting. Camera-phones have improved markedly in recent months, let alone years, but there’s still drawbacks against regular digital cameras. Some of the focus on this device is a little soft, but its more than adequate for most peoples needs, especially on a device focussed around productivity. All of this, as well as the rest of the devices functions is powered by 32GB of internal storage. This places it in line with the highest selling iPhone model, although it should be noted that the sheer volume of apps that Samsung pre-install eat considerably into this. they weigh in at over 7GB of storage, meaning the effective starting point is down at 25GB. This can be supplemented via the external SD card that sits on the base of the phone, so if you’re a prolific storer of music or video content, fear not. It feels like its constantly getting harder to choose a smartphone at the moment. Samsung alone have a sheer volume of phones on the market, covering the full spectrum of specs and sizes. Even Apple are now peddling 3 smartphones together, all of which makes things more confusing. The Note 3 operates squarely in the Phablet category though, so your first challenge is to ascertain if you would value the larger size of this device. There are definite benefits; the large screen is so much more usable, its great for productivity and is also wonderful for media consumption, especially movies on the go. However, this is allied against the extra bulk, and its dimensions mean your likely to be squeezing it into your pocket or buying a larger handbag. If a phablet is the way you want to go, this is the best one on the market at the moment. Next articleGoogle Nexus 5: What do we know so far?